This OMRI Listed and compliant for use in organic gardening pest control product kills a variety of leaf feeding caterpillars and worms, including corn earworm, bollworm and more! 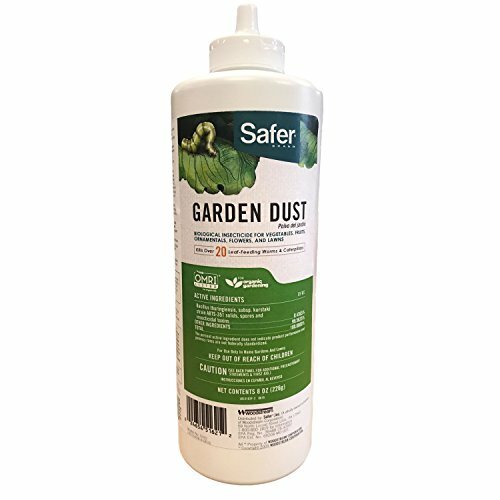 Safer Brand Garden Dust with B.t. utilizes bacillus thuringiensis (var. kurstaki) which, once ingested by the pest, kills them within a few days. It is recommended that this product be applied late in the afternoon or on cloudy days since B.t. breaks down in the sunlight. If you have any questions about this product by Safer Brand, contact us by completing and submitting the form below. If you are looking for a specif part number, please include it with your message.